The Great Eggscape! – Digital marketing with Christy! Any of you still thinking an activity for this weekend? Here’s a good one. This holiday Big W presents you the Great Eggescape Egg Hunt. So untill next Monday (6/4), there are five hidden Bluetooth powered beacons in each Big W store for you to find out. Each of these eggs will give you a chance to enter the draw(s). Only if five eggs are located, participant will be able to entry to the final draw. 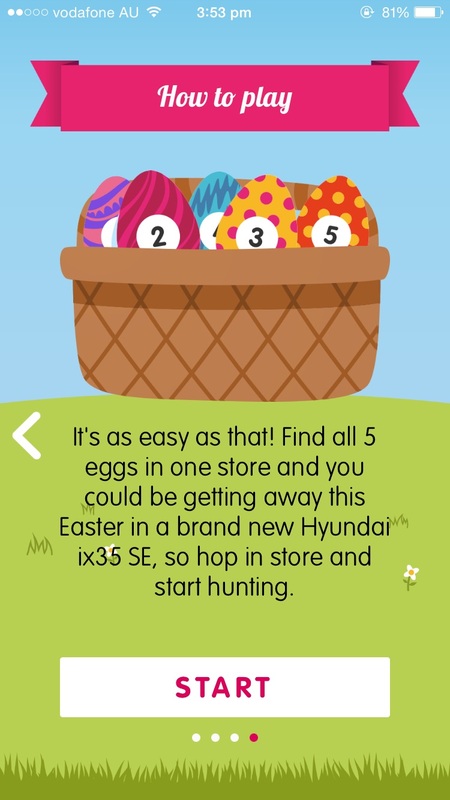 Participants are required to locate a hidden egg using the App, in order to gain an entry into the draw corresponding to that particular hidden egg. Final draw x1 – total prize value is up to AU$36,125 including the Hyundai ix35 SE 2WD along with registration, third-party insurance, stamp duty and dealer delivery charges. I like the idea of engaging with the mobile App. 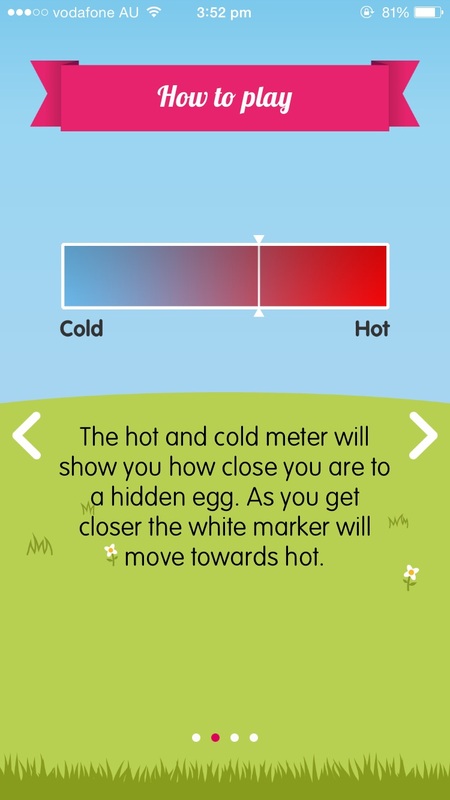 The digital egg hunt will definitely become a gimmick after all these years’ traditional chocolate egg hunts. 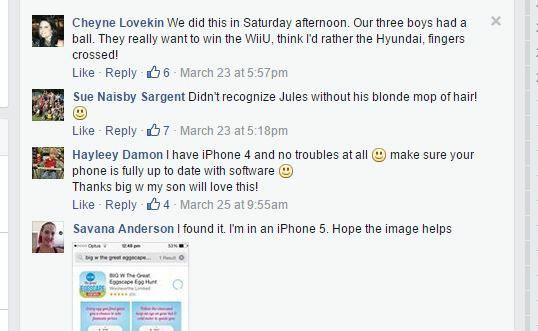 The new technology also allows adults to engage into the hunt (the big prize really encourages adults to join). Use your phone as a detector! 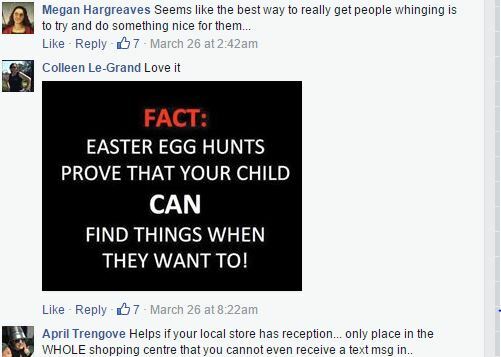 Most importantly the digital egg hunt makes participants walk around the entire store. More or less, participants may like to stop and shop a bit during the hunt. It is a brilliant idea to increase sales and profit. Good luck in getting a Hyundai ix35 but heaps of chocolate! For more terms and conditions, click here. haha it was something interesting to do when I shop. Wish I’ll win the car! How interesting 🙂 this is definitely attract more people to go to big W , what a good marketing strategy! Olivia! The car will be mine! I saw lots of people using this app in Big W those days, seems like a good marketing campaign. This will not just gain a short term revenue, people who are not usually go to Big W will get more ideas about what Big W is selling , and how cheap products are. Smart marketing strategy! Consumers can be attracted to stay longer and gained an opportunity for winning a car or other prizes, seems attractive for increasing sales revenue, flow of people, as well as likelihood of shopping during holidays. You are right Jessie. This app gives people idea that BigW has mobile app too. A well designed campaign to convert customers to app customers. That’s right. Great incentive to attract parents bring their kids over the store. They may easily win a car and kids get to play (and shop) too. Definitely lots of people went to BigW for this campaign. I saw quite a few families and couples rearching for eggs on that sat.